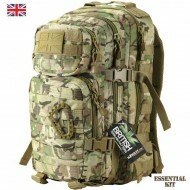 The 60 litre Viking Patrol Pack from Kombat UK is made from durable 600D Cordura and has a padded an.. The 60L Kombat Rucksack is made from durable 600D Cordura in BTP (British Terrain Pattern) camouflage - designed to compliment the British Army MTP issue and is compatible with Multicam. 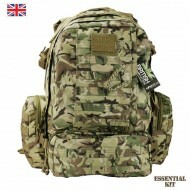 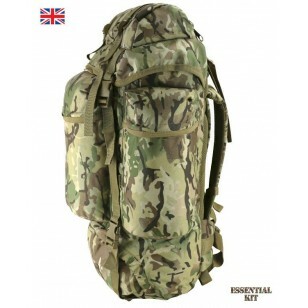 An ideal rucksack for cadets / reservists or a rucksack for general military use. 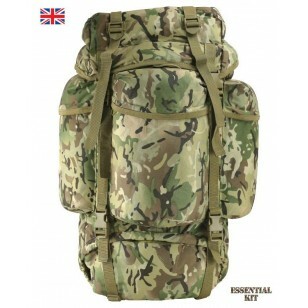 An excellent piece of kit at a fantastic price. 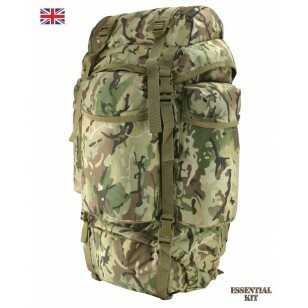 Features 2 zipped side pouch compartments. 1 x separate zipped sleeping bag compartment. 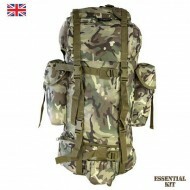 Sleeping mat straps on top of pack. 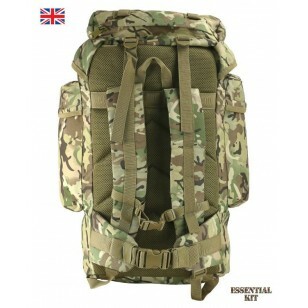 Airflow padded ventilated back and waist strap.